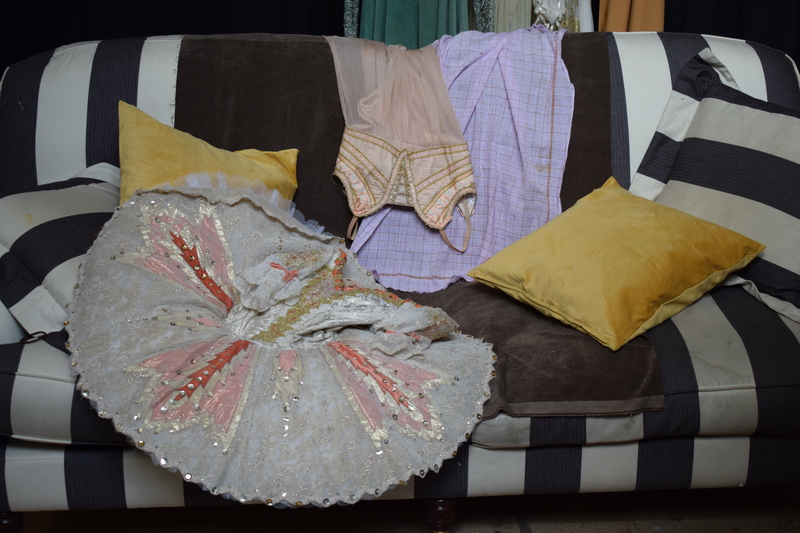 Francesca Hayward kindly agreed to sit for me in 2017. 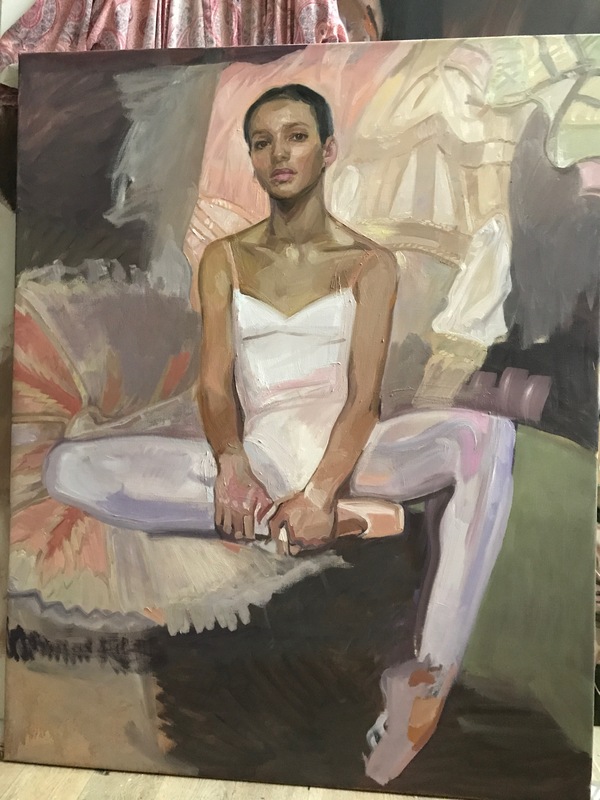 She is a wonderful principal dancer with the Royal Ballet – I’m really so happy that the painting will be showing at the National Portrait Gallery June 2018-Sept 2018 as a part of the BP Portrait Award. 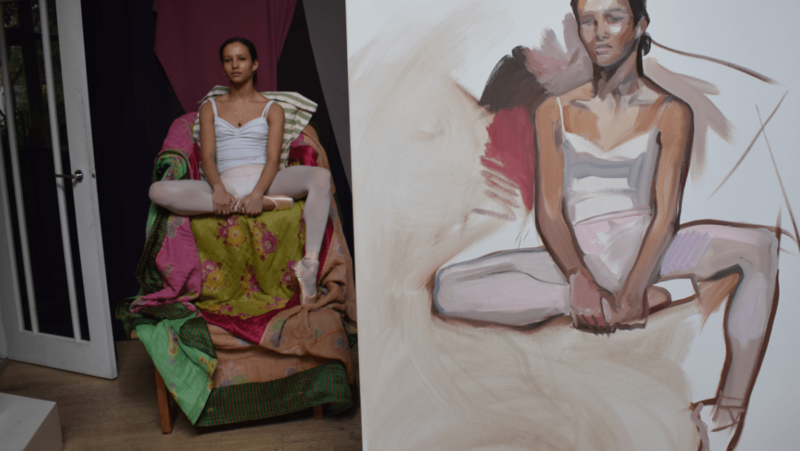 The painting took me a long time to piece together – here are some photos of the process – first image is from the very beginning of the first sitting with Francesca – sketching in a rough pose. Another sitting where I started to work out what the composition and background might be. 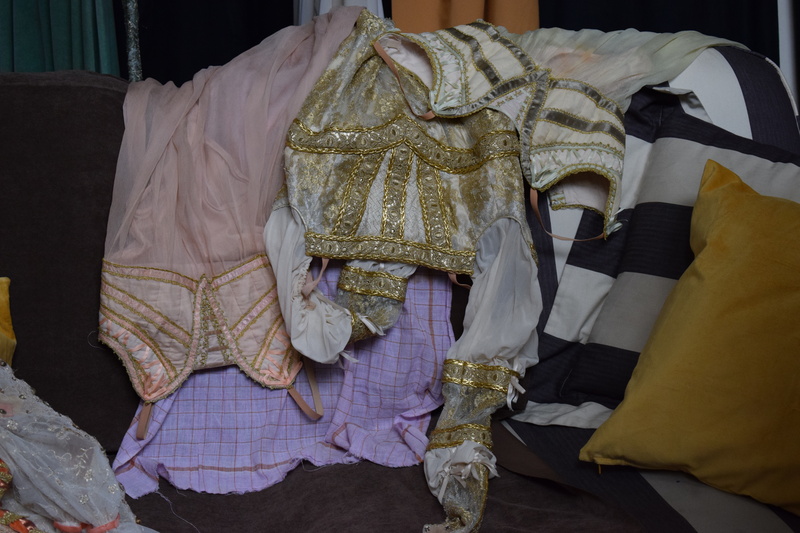 Here are some of of Francescas costumes which I borrowed from the Royal Opera House; her sugar plum fairy tutu, Clara and Juliet dresses arranged around and behind her for the background of the portrait. It was then a long process of re-adjusting the colours and composition to balance it out…. until i settled on the final version below! 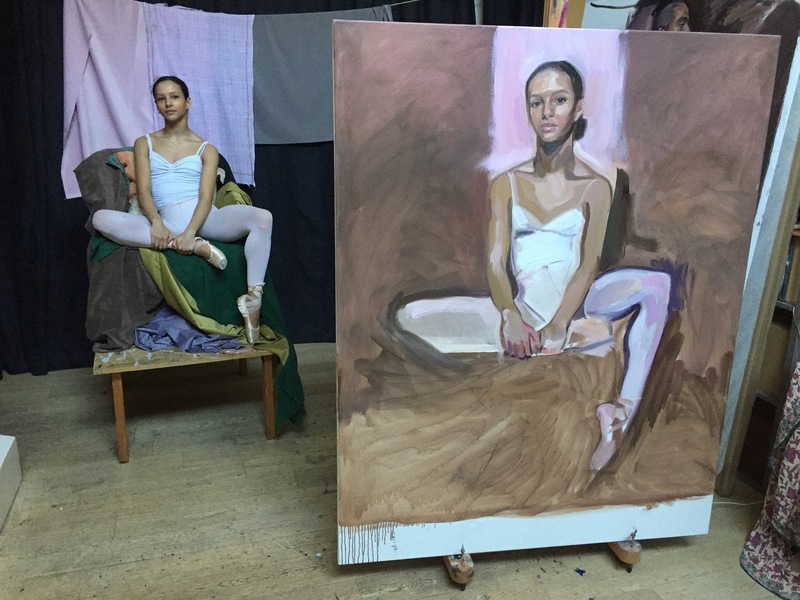 Painting a portrait of Francesca Hayward made me think a lot about how to try and capture one art form with another. Dance and portraiture are similar in some ways…. both use the body as a vehicle, a discipline of technique combined with personal expression to portray emotion, story and concept. Dance was a huge part of my childhood. I did it every day until I was a teenager when I got a knee injury – but I’ve followed and loved it ever since! 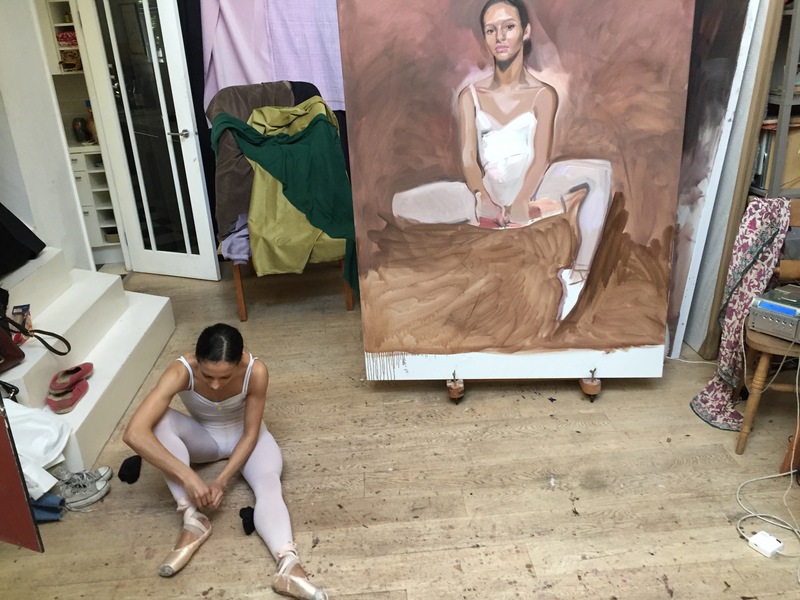 Over time I can see how linked the practice of dancing is to the way I paint now…. 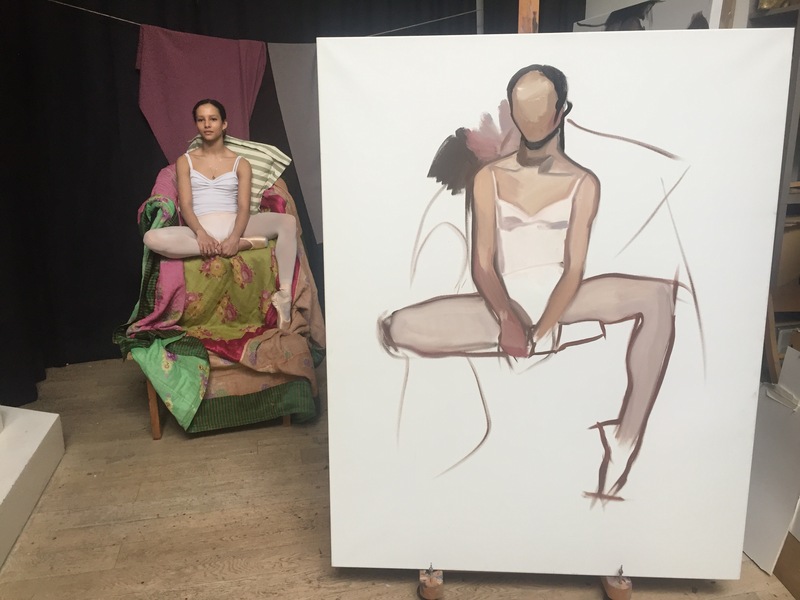 both are connected in their use of observation and how they manipulate the line of the body to create composition. 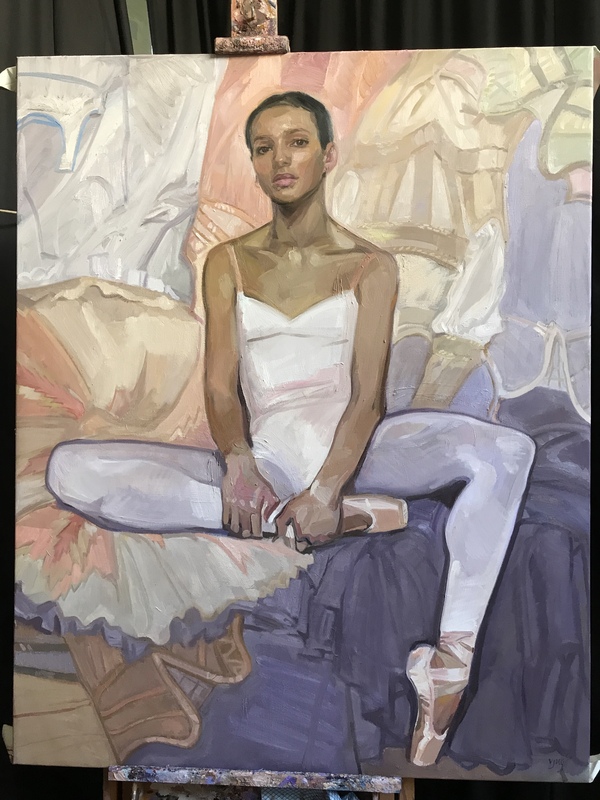 A dancing background has given me a huge admiration and a feeling of awe for professional dancers and so I’ve been drawn to use them as models for painting. 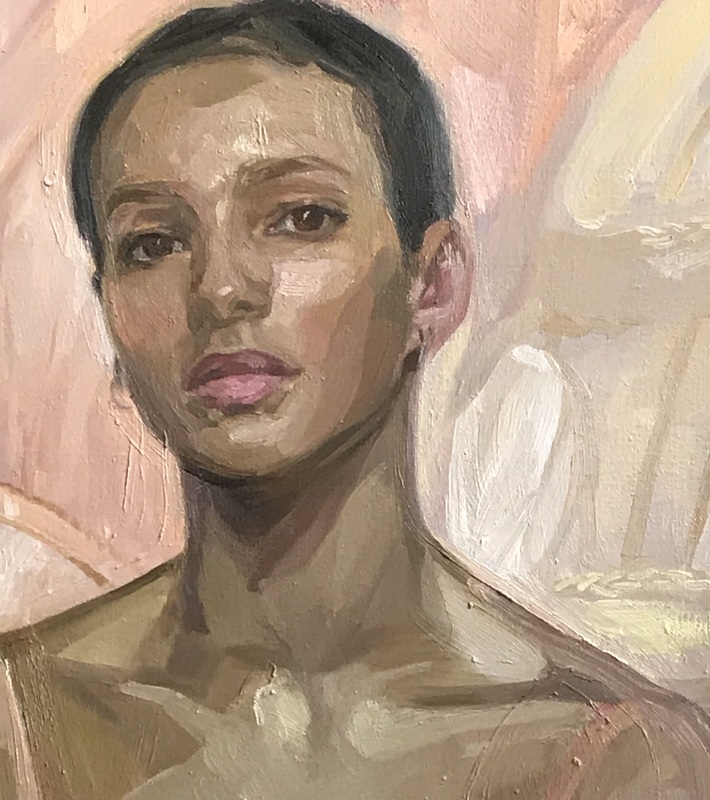 As models they have such strong awareness of their own bodies that it gives them more of a collaborative role in the composition, which brings something unusually personal to the portrait. It’s not surprising to me then how popular dancers have been throughout the history of art as subjects for paintings – and I’d like mine to engage in a conversation with this history – I think there is something particularly ephemeral about the experience of watching dance on stage which makes dancers and dancing a real challenge for creative interpretation. When I saw Francesca dance in a performance I thought she so beautifully managed to be a combination of softness and strength. Opposing qualities like that are what I think makes a particularly interesting subject for a painting.